Massaging and releasing using pressure has been known as the flexibility tool for thousands of years. It is one of the oldest methods of healing. It is also the best kept secret. Multiple independent studies on athletes and rehab clients have shown the benefits of massage. 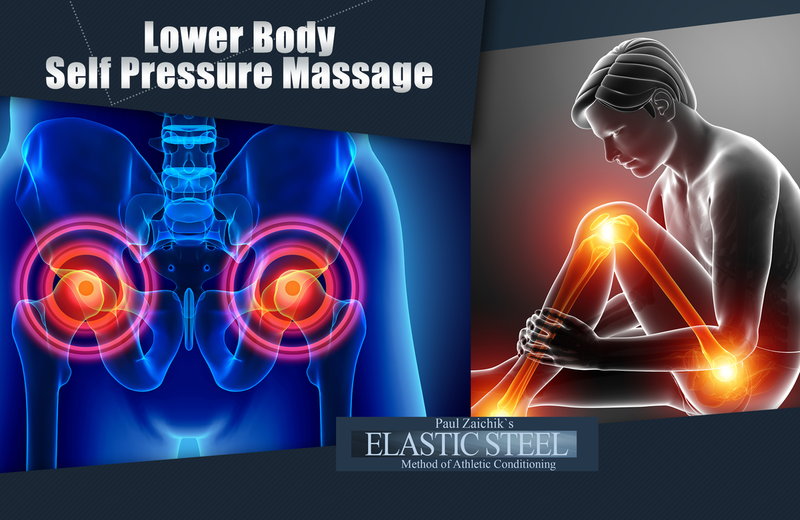 All participants who have applied pressure on target muscles, were able to increase their range of motion further, than those who stretched without the massage and release. In modern times a large number of coaches and trainers recommend massage to their athletes. Many attribute increase in performance to releasing the muscles. The common concern is the blend between standard foam rolling and deeper massage. While foam rolling can prevent muscle spasms, and increase the blood flow to the muscle, often it's not deep and direct enough to break up adhesions and knots. Those are often the major blockers of progress. Another concern is incomplete massage. As far as upper body is concerned, little and hard to reach muscles, such as Pectoralis Minor are often neglected. Of course all it takes is one tight muscle to prevent full range of motion, or worst injury. Our program gives a complete follow along routine to release every muscle in the lower body. This ensures full stretching capacity and decrease chance of injury due to overcompensation of one muscle group for another. Get Your Lower Body Self Massage and Release Program Today!